Box mix brownies get an upgrade with brandy and boozy cranberries. 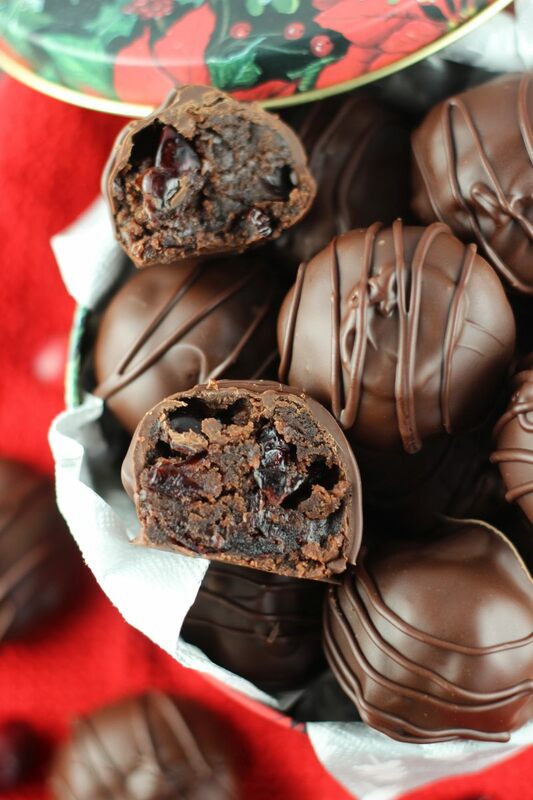 They make for perfect brownie truffles! 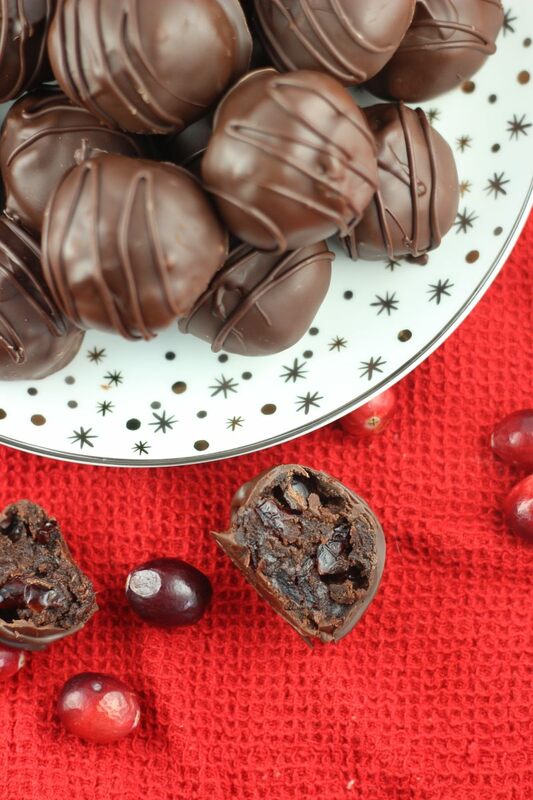 Dunked in a chocolate bath, these decadent bites are full of holiday flavor! I have at least 8 more Christmas recipes, and 7 days til Christmas. SEVEN days. Yikes. 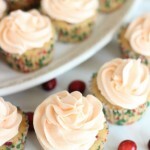 By now, most of you probably already have your menu planned and don’t need more Christmas recipes. Meanwhile, I have ZERO recipes for New Year’s Eve. I’m either a terrible planner, or an excellent over-planner. I over-planned Christmas, vastly, and under-planned NYE. 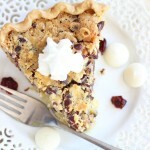 That’s okay – I love Christmas recipes the most, so I just focused on that. I’ll be better about NYE next year. I say that every year though. I also say that I’ll remember every single National <insert food here> Day, like National Cupcake Day, or National Coffee Day, or National Donut Day, but I don’t have a single one of those special days on my calendar. 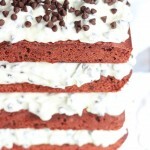 Maybe I will post Christmas recipes even after Christmas, and if you’re anything like my family, you’re still baking holiday recipes after Christmas just for the heck of it! 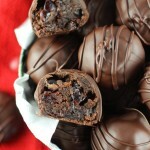 Anyway, I love a good rum ball, and one of my favorite versions starts with crumbled brownies. Box mix brownies, doctored up with rum, then crumbled and mixed with more rum, and dusted with cocoa powder or dunked in chocolate. 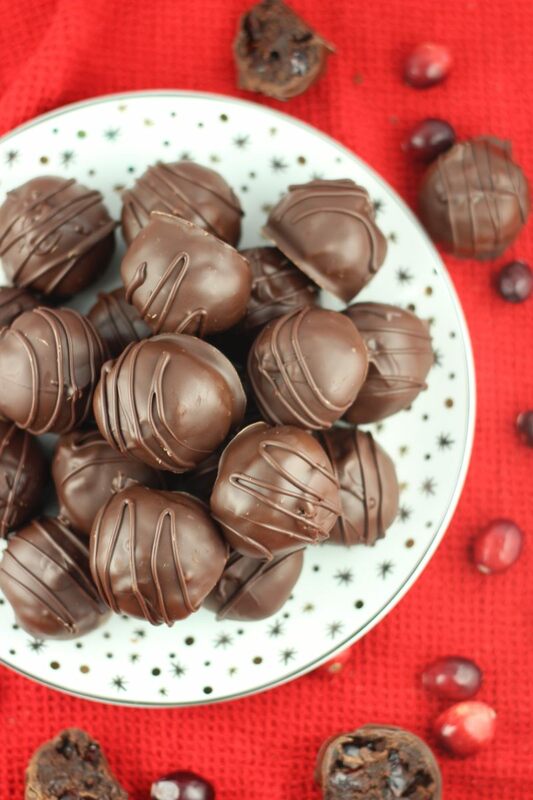 Rum balls are a holiday treat, indeed, but I wanted to try something different. 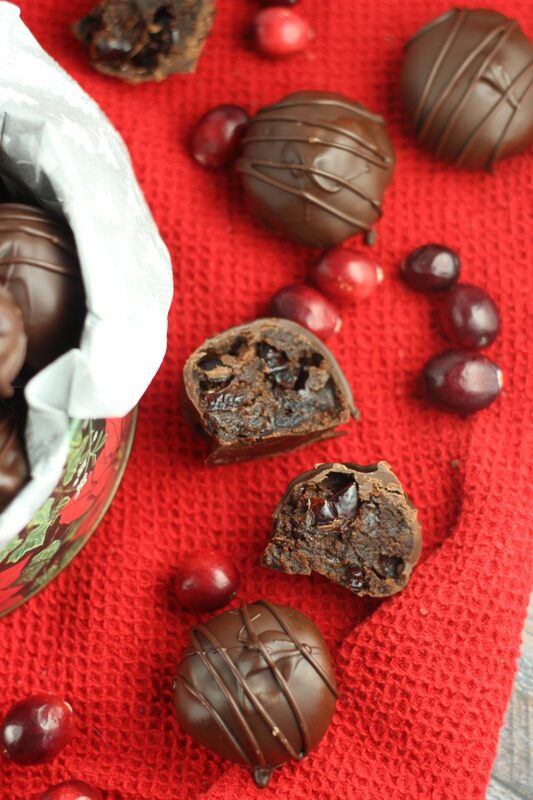 Inspired by my love of rum balls, and this recipe, I came up with these Brandied Cranberry Brownie Truffles. 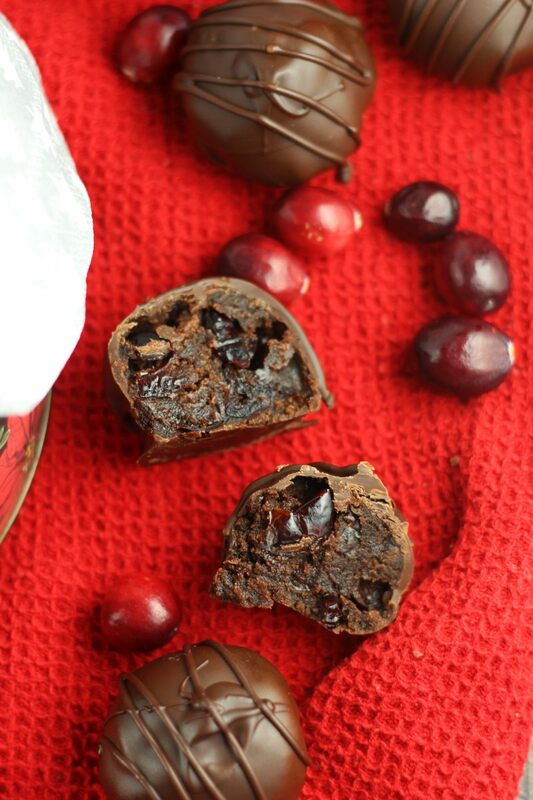 Brandy-soaked cranberries and brandy are added to box mix brownies, which gives them a serious upgrade. The brownies are crumbled and mixed with more brandy, forming brownie truffles! 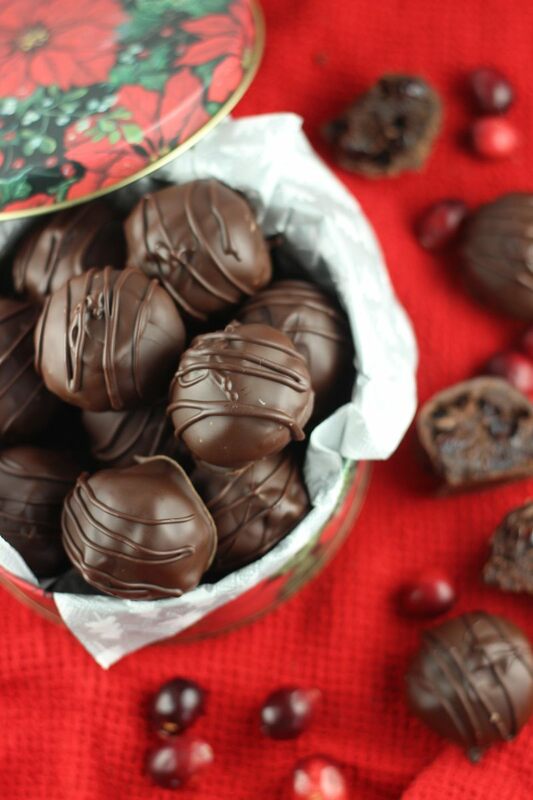 Spiked, full of boozy cranberries, and enrobed in chocolate, these truffles are super simple to make, and are a fuss-free, non-messy holiday treat that deserves a spot on your holiday cookie tray! Tucked into a festive tin, they’re also perfect for gifting! 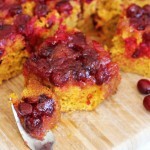 In a small microwave-safe bowl, combine cranberries and brandy. Heat for 30 seconds, stir, then heat for an additional 30 seconds. It should be simmering, if it's not, heat an additional 30 seconds. Let stand for 15-20 minutes to marinate. Meanwhile, prepare brownie batter according to package instructions. For me, this meant combining the brownie mix, egg, oil, and water. Strain the cranberries, reserving the brandy. Stir the cranberries and 1 tbsp. brandy into the brownie batter. Pour the batter into a greased 9x13-inch baking pan. Bake at 350 degrees for 22-25 minutes, or until a toothpick inserted near the center comes out clean. Once the brownies are cool, crumble them into a large bowl. Mix just enough brandy into the brownie crumbs to form a paste, about 1 tbsp. 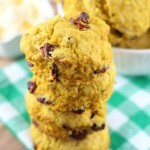 Scoop by tablespoonfuls onto parchment paper-lined baking sheets, and roll into smooth balls. Freeze for at least 1 hour, or until firm. In a small saucepan over low heat, melt the chocolate almond bark. Using a toothpick, dip the brownie truffles into the melted chocolate, returning them to the parchment paper to set. Once set, serve and enjoy!